Going into the kitchen to while away a couple of hours making something interesting with phyllo and smoked salmon is one of those things people who like to cook do to satisfy a culinary craving–a cooking craving, not an eating one. When you have done this, and stuck the results in the freezer– there it is as an option to bring out and serve with drinks. But, if you–your friends–your loved ones–ate it, and you are about to make a multi-course lunch or dinner, it is good to have options. 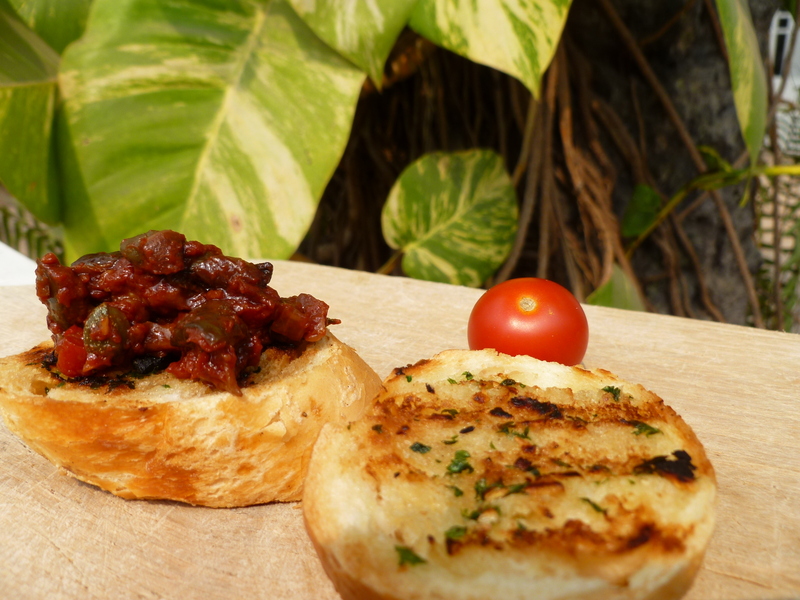 Caponata on Grilled Garlic Butter Toasts is one of those options. Having something with a drink before the meal is festive and fun. On the other hand, for this kind of occasion, something on the light side is not a bad idea either. You want your guests looking forward to each course as it comes–not feeling like they are auditioning for the male lead in Hansel and Gretel. 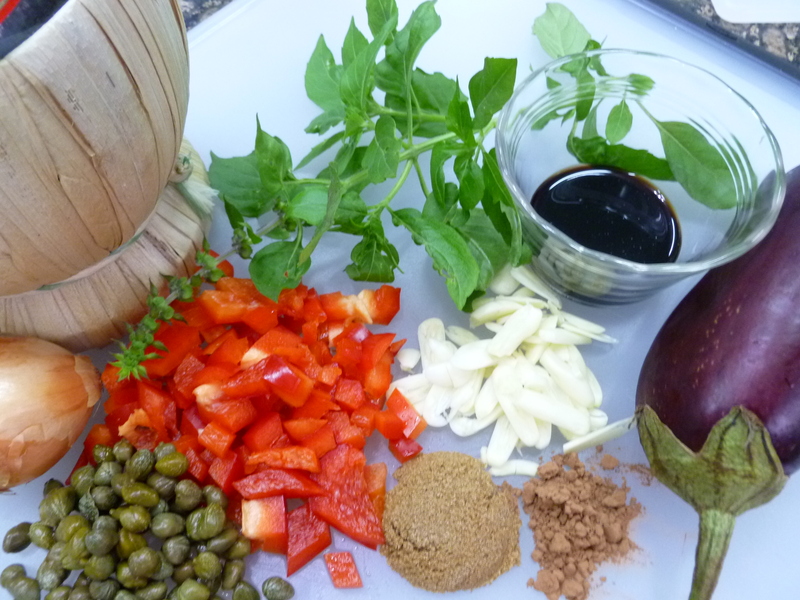 Clicking on this title: Caponata Cocktail, will take you to the recipe for Caponata, which can be made ahead and served at room temperature. 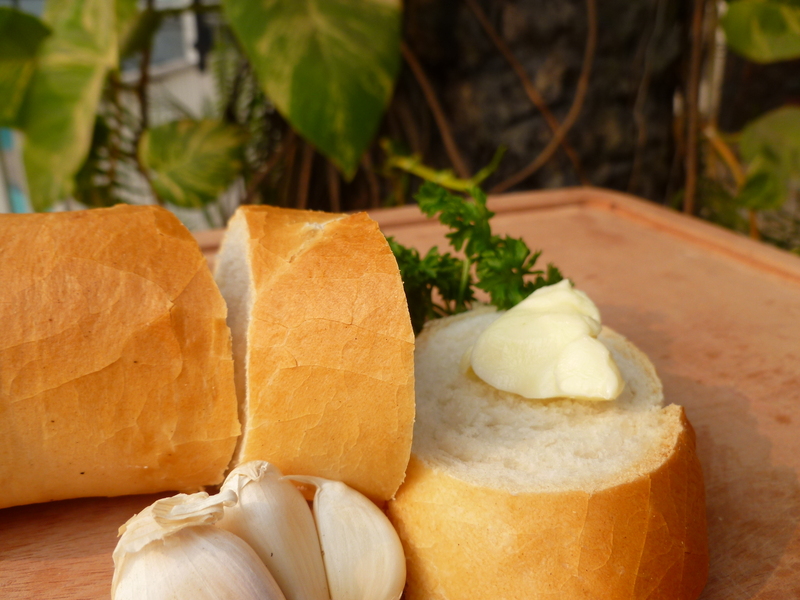 A click on Grilled Garlic Butter Toasts will take you to the instructions for them. Put the two together and you have an easy, uncomplicated, and enjoyable hors d’oeuvre.